By subjecting himself to hypnosis, Pawel Althamer saw himself as a young Jewish boy wandering with his dog amongst the burning ruins of Warsaw. The sculpture is a kind of bozzetto, a small first visualization for a larger sculpture, based on a drawing made by Althamer after the hypnosis session in 2003. 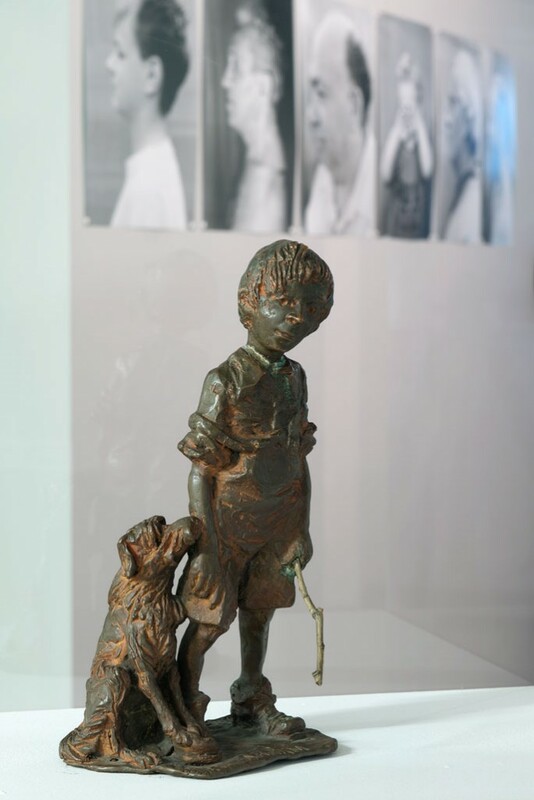 The actual sculpture based on this model was made in 2008 and installed in front of the block of flats in which Paweł Althamer lived together with his family in the district Bródno Warsaw, at 13 Krasnobrodzka Street. Abram and Buruś is a proposal of a non-monument for a city full of pompous monuments that commemorate historical events. Althamer questions the essence of a sculpture-monument – its scale, its seemingly timeless character and social significance. Using traditional sculpture techniques however in small format, Althamer transforms it into an object on a plinth, overwhelmed by the gigantic 1970s tower blocks around it. Against this backdrop, an individual, private story becomes embedded in collective memory. The session was part of the project So-called Waves and Other Phenomena of the Mind (So gennante Wellen und andere Phänomene des Geistes), a joint exhibition conceived by Althamer and Żmijewski at the Kunstverein für die Rheinlande und Westfalen in Düsseldorf in 2003. The installation of Abram and Buruś in Bródno is one of many projects carried out by Althamer for the district, where he has lived since he was a child. 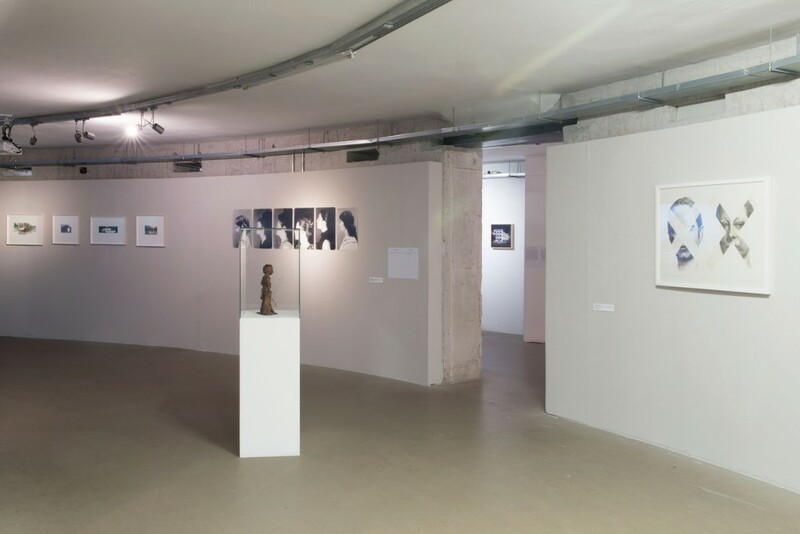 In 2009 he initiated the long-term project called Sculpture Park in Bródno, which involves invited artists, local inhabitants, self-government members, and representatives of the Museum of Modern Art in Warsaw. Paweł Althamer (*1967 in Warsaw), studied at the at the Academy of Fine Arts, Warsaw and lives and works in Warsaw.